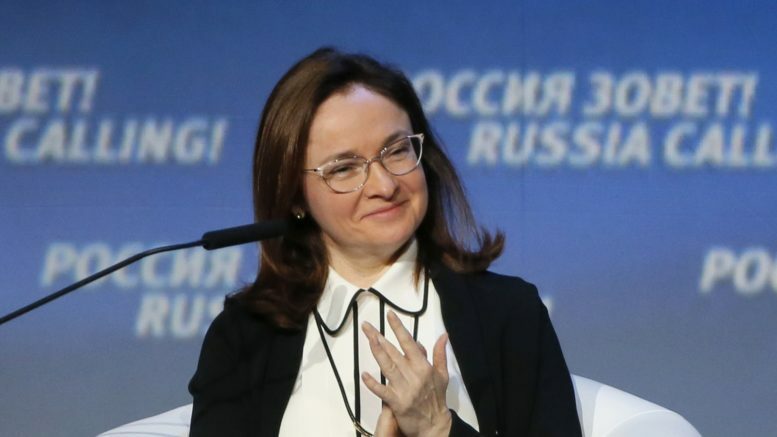 Elvira Nabiullina, as Russia's Central Bank head, has been instrumental in bringing down inflation and maintaining stability in Russia's economy. Sixty-nine percent of respondents said the state should consolidate its role in society compared to 22% who stressed the need to liberalize all spheres of public life. Many voters do not believe that their votes will be counted honestly, do not see any differences between the parties and do not consider the parliament an influential body. Less than one in five Russians would consider emigrating, a poll by the Moscow-based Levada-Center has found, with three quarters saying that they never would. According to VCIOM (Russian state-owned opinion research center) polls, 43.1 percent of Russians are ready to vote for the United Russia party which is the biggest party in Russia. Russians mostly criticize the national government for “being unable to deal with the price rise and shrinking household income” (42%) and “failing to ensure social protection” (34%), the Levada Center told Interfax. A fifth of respondents believed that the elections would be free from any malpractice, with a further 26 percent declining to answer. Russian analysts cite seasonal factors and cautious consumers among the reasons for the fall in prices, with some expressing hope that Russia may be able to reach 4 percent inflation for the first time in its history by 2017. Russian agricultural is flourishing as leading companies and the state pour money into the sector amid the sanctions that have cut food imports. Why have peak oil predictions proven consistantly wrong? Many investors credit central-bank chief Elvira Nabiullina for Russia’s resurgence. Russian President Vladimir Putin has abruptly reshuffled several regional leaders and dismissed the ambassador to Ukraine in a substantial shake-up that also included the removal of the country’s longtime customs chief. In the midst of the campaign for the upcoming parliamentary elections in Russia in September, the largest public violation monitoring organization has been disbanded.